The last day of 2014 has come and in the last few remaining days of the year, I managed to catch up on some films. In total, I've seen 94 in 2014 at Cineworld. Given the fact that each movie had a running time of approximately 2h, I spent around 188h (around a week and a half) at the cinema (OMG I need a life!). Anyway, you can see all of my personal high- and lowlights of 2014 in today's post. Begin Again: This romantic comedy stars the gorgeous Keira Knightly, Mark Ruffalo and Maroon 5 frontman Adam Levine. It is a fantastic piece of an easy to watch film but at the same time, it encourages you to never give up and there's a second chance for everyone in life. Begin Again has charming characters, indie-pop music and a drama/comedy plot that you can watch over and over again. The Young And Prodigious T.S. Spivet: I can't stress it often enough how much I love this film. I've only seen it once but it has ever since stayed with me with its powerful images and strong message. It is drama at its best and a true piece of art in itself. 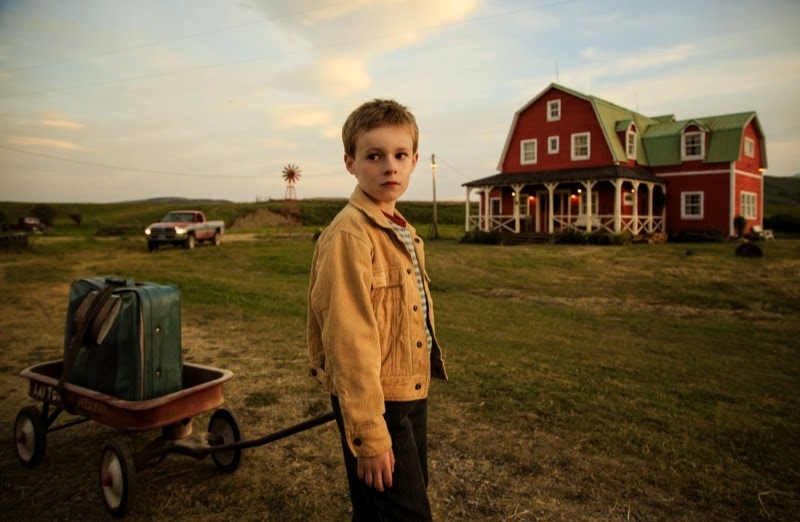 If you're intrigued, you can find my full review film review of The Young and Prodigious TS Spivet here and the DVD is currently around £8 on Amazon. The Maze Runner: This adaptation of James Dashner's YA fiction novel really surprised me. It is action-packed and full of suspense. I had no idea what to expect and every minute of this film tied me to my seat and I wanted to know more about what was happening. It is so mysterious, intriguing and gripping that you won't recognise how fast the time goes by. It finishes off with a truly wow/wtf ending so the first thing I did when I came home was to order the first book and planned a second trip to the cinema. Even when I watched it for the second time, I found it very adventurous and energetic. I'm now reading the second book because I can't wait to know what's going to happen next! I found the first half of the movie year 2014 relatively average and there were few films to stand out. Good films were rare and only towards the autumn, the movies got better. Further film highlights of the year were Linklater's Boyhood, The Imitation Game, Interstellar, Nightcrawler, Men Women and Children, St. Vincent and Night At The Museum 3. 2014 saw disappointing films and most only received an average rating in my personal film list. Some films that didn't make it over my 5 point mark are: Inside Llewyn Davis, A New York's Winter Tale, A Long Way Down, The Grand Budapest Hotel, Maleficient, Hector and the Search for Happiness, Life After Beth, This Is Where I Leave You, Fury, Mr Turner, Horrible Bosses 2. I'm really excited for 2015, especially for The Theory Of Everything, Stephen Hawkins biopic to kick off the film year. Then Disney will enchant us with Into The Woods and Cinderella, Jurassic Park and the new James Bond film bring some action in the summer and The Maze Runner: Scorch Trials will continue the series in autumn. Which film was your movie high/low light in 2014? Are you looking forward to the new film year? Join the discussion and let me know in the comment section. Thank you so much for reading today's post and I hope you've enjoyed my review and analysis of 2014.